Just two weeks before the county tourney, the Southwood and Northfield girls went to battle for metro bragging rights, with the Lady Norse coming out on top 61-46. The emotions were high on the court and in the crowd as anticipated, with each team hoping their match-up would go as planned. Southwood got off to a hot start on the back of freshman Brooke Elliott, who scored the first 7 points of the game as the Knights led 7-0 with just over four minutes to play. Arie Kennedy would break the ice for the Norse with a bucket that started a 9-0 run to grab the lead. Sidney Reed would connect before a Katie Stephan three tied the game, with Kylie Echard putting the Norse ahead. The Manchester swim teams fell to Rochester Thursday night. The girls fell 49.5-133.5 while the boys were defeated 59-111. The girls 200 Medley Relay team of Kacy Sites, Alexis Vernon, Andrea Roesner and Marie Pedersen placed second. In the 200 Free Andrea Roesner and Noah Cain placed second. Marie Pedersen won the 200 IM, while Evan Milam was second. Claire Barnett and Ross Messer were both second in the 50 Free. The Manchester boys’ varsity basketball team took a 3-0 record in to Thursday night against Warsaw, suffering their first loss of the season 42-35. The Squires were in control early. After trailing 2-0 Clayton Petrie hit back-to-back three pointers to give Manchester a 6-2 lead before Warsaw knotted the score. Claudell Dickantone would put the Squires up again on an offensive rebound bucket, but the athletic Tigers would score the next four. With 1:00 to go, Dickantone found the range again, tying the score at 10, which is where the first quarter ended. Warsaw would score the first five points of the second quarter to take a 15-10 lead when Dickantone brought them back with two buckets to make it 15-14. With some minor foul trouble brewing for the Squires, the Tigers took advantage scoring the next 8 points to open a 23-14 gap. Clayton Petrie would make things exciting, draining a three with .03 left to make the halftime score 23-17. The Manchester Lady Squire varsity basketball team was ruffed up by Whitko Friday, falling to the Wildcats 61-29. Tabby DeWitt led Manchester with 11 points, 18 rebounds. Rae Bedke added 5 points, 3 rebounds. The junior varsity fell to Whitko 33-32 in overtime. Bethany Collett led with 11 points. Hanna Olk added 6 points, 2 steals. Drew Thompson had 6 points. 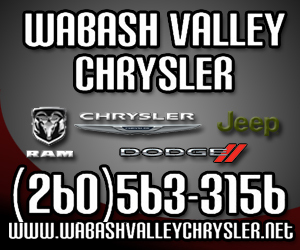 December basketball in Wabash County is important as conference matchups begin to build and coaches begin to evaluate adjustments within their own teams. The schedule for the second week of December starts out slow, but builds toward the weekend. On Tuesday, the Lady Norse travel to Taylor for a non conference game, while the Lady Apaches travel up to Warsaw for a challenging test. On Wednesday, the Lady Knights host Mississinewa. On Thursday, the Manchester Squires host Warsaw in a matchup that will give the Squires a gauge as to how they stack up early in the season. The weekend offers a full slate of games. On Friday, 3 county teams are in action. On the Boys side, Maconaquah travels to Wabash for a non conference affair. The Lady Squires of Manchester will be at Whitko for a conference game that is also a border battle. The lone county matchup of the week is the Lady Norse traveling to the south end of the county to take on the Lady Knights at Southwood. 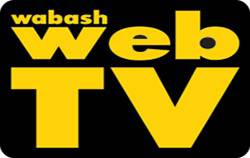 Wabash WebTV will broadcast that Metro Matchup starting around 7 p.m. Join the Harness Brothers, Rick and Tim, for all of the game action. The Wabash Middle School 8th grade boys’ basketball team competed in the Tippecanoe Valley Holiday Classic Tournament this weekend. In first round action the Apaches competed against the host Vikings. Following a slow start, Wabash went on to win 47-26. Luke Mattern had 18 points. Austin Vinopal had 12 points. Seth Yeadon had 10 points. Kory Fuller had 2 points. Austin Spangle had 4 points and Austin Cooper had 1 point. Wabash went on to play Crestview in the Championship Game. The Wabash Middle School 8th grade boys’ basketball team faced Crestview MS from Huntington in the championship game of the Tippecanoe Valley Holiday Classic on Saturday Dec. 7 at Tipp Valley. Using a fast start and a large offensive second quarter where the Apaches outscored Crestview 19-4, Wabash never let up and won 58-31. The Southwood girls’ basketball team went on the road to Rochester Saturday, falling to the Zebras in overtime 58-56. The two teams played an even first half, being tied 11-11 after the first quarter and 24-24 at the half. The Lady Knights would out score Rochester 10-8 in the third to take a 34-32 lead after three, only to be out scored 18-16 in the fourth to force overtime tied at 50. Rochester would out score the Knights 8-6 in overtime for the 58-56 final. Leading the Lady Knights was Haley Heath with 14 points, 3 rebounds, 3 assist, and 2 steals. Katie Stouffer added 12 points, 14 rebounds, 3 assist, 5 blocks. Amy Bowman had 10 points, 4 rebounds, 5 assist, and 2 steals. Brooke Elliott had 10 points, 5 rebounds, and 3 assist. Emilie Harnish had 8 points, 4 rebounds, 2 assist, and 3 steals. Abby Houlihan had 2 points, 4 rebounds, and 2 steals. Meranda Friend had 1 rebound, 1 assist. The Manchester boys basketball team got off to a hot start Friday, holding on for a 45-44 win over Wawasee. With the win the Squires got off to their first 3-0 start since 2002. The Squires jumped on the host Warriors right from the opening tip. Manchester had five different players score in the quarter, with four of the players hitting from behind the arch. Chase Fierstos, Claudell Dickantone, Clayton Petrie and Cameron Brandenburg all hit the long ball with Dickantone finding the bucket inside the arch twice and Braydon Sewell once as the Squires led 20-9 after one. The Squires would cool down a little in the second quarter, scoring 10 points. Petrie drained his second three of the night while Chase Fierstos scored 6. The Squire defense also held the Warriors to just 10 points as Manchester went to the half leading 30-19.